Obituary for Helen Carrie Certain | Thatcher's Funeral Home, Inc.
Helen Carrie Certain was sent a one-way ticket by Jesus bound for Gloryland on March 25, 2019 at 2:30 pm. Helen was born December 12, 1941 in Mandeville, Louisiana to Alphonse Certain and Augustine Butler Certain Johnson. In 1963, she graduated from Chahta-Ima High School in Lacombe, Louisiana. Shortly afterwards she adventured out and settled in the state of Kansas. Helen became an active member of the Seventh Day Adventist Church in the late1970's. She loved being on the Usher Board; on the Darcus Board, singing in the choir, often leading A.Y. evening services, but most of all being Head Sabbath School Teacher of her son's class. She had a great sense of humor. She enjoyed church revivals and concerts, gardening, fishing, cooking, baking, entertaining, reading, traveling, decorating, painting, celebrating holidays and birthdays, sewing, taking adventure walks which included picking berries. She had a passion for people and never met a stranger. 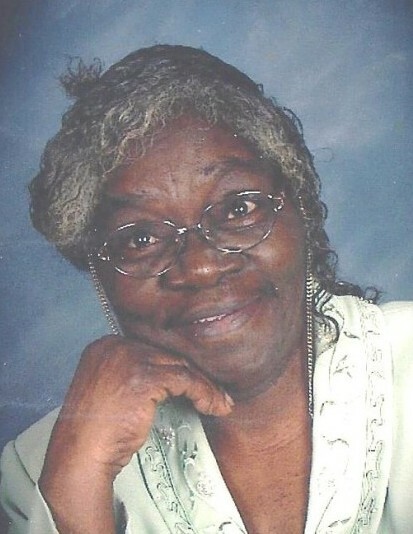 She loved to listen to gospel music, sing and expressing her love for Jesus to whomever was willing to listen. Helen found her passion at Marian Hall Retirement Home as a cook for 21 years until 2006, when health issues began to place restrictions on her. She was preceded in death by her parents; older sister and brother; Julia and James; younger siblings, Alphonse Joseph Certain, Jr. (2017) and Esther Certain (March of 2019); her only beloved son, Theotis Quentes Certain (2002); her best friend and sister in Christ Mrs. Christine Ray (2004). Helen is survived by her two daughters, Regina L. Holliday and Coretta E. Certain of Kansas City, Kansas; thirteen grandchildren and twenty great grandchildren; five brothers, George; Louis; William; Charles and Gregory; three sisters, Shirley; Rebecca and Delores.